Jypyä Pop (Turku, Finland) on 21 May 2017 in Animal & Insect and Portfolio. Superb capture of the scene . Lovely !! They are discussing something !! We have a lot of them here ! Godd take of the chatter-box birds. 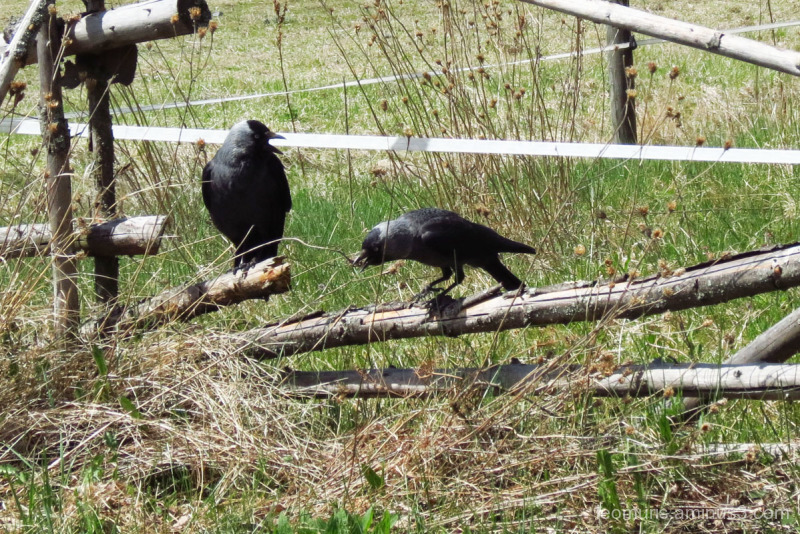 They look to be gathering nesting materials. @Steve Rice: I am not sure, what are they doing. @Curly: That is very possible. Now that is the most important time of year. They are very into their chat. I wonder whether they are discussing politics. @Harry: It is quite possible. Perhaps they are angry with those who decided to conceal the ever-present nesting niches in the Turku Cathedral Tower.